Countless Japanese beauty products are introduced each year, promising a beautiful brighter skin and all. And after the conclusion of Japan Beauty week, we thought we share a few Japanese beauty brands that stand out from the rest. 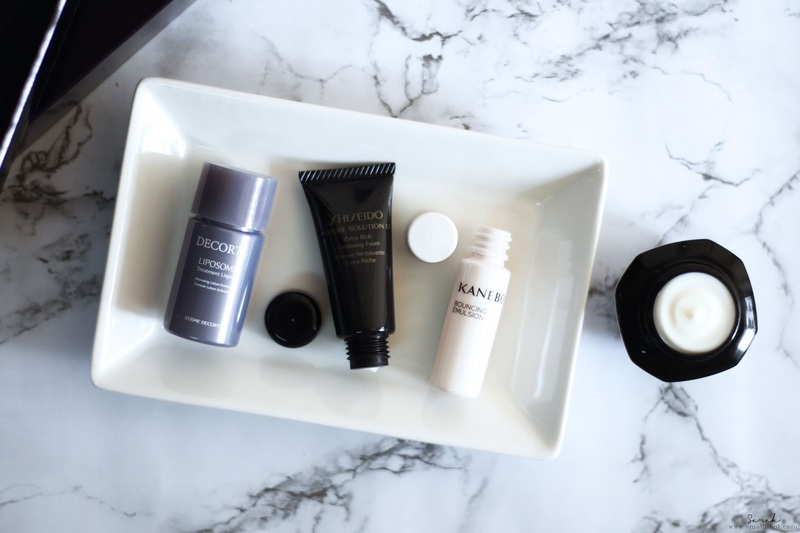 Here are the Must-Try Japanese beauty brands if you are thinking of switching out your skincare and venture into Japanese beauty products. I am sure all beauty junkie is familiar with this well-known Japanese brand, Shiseido. 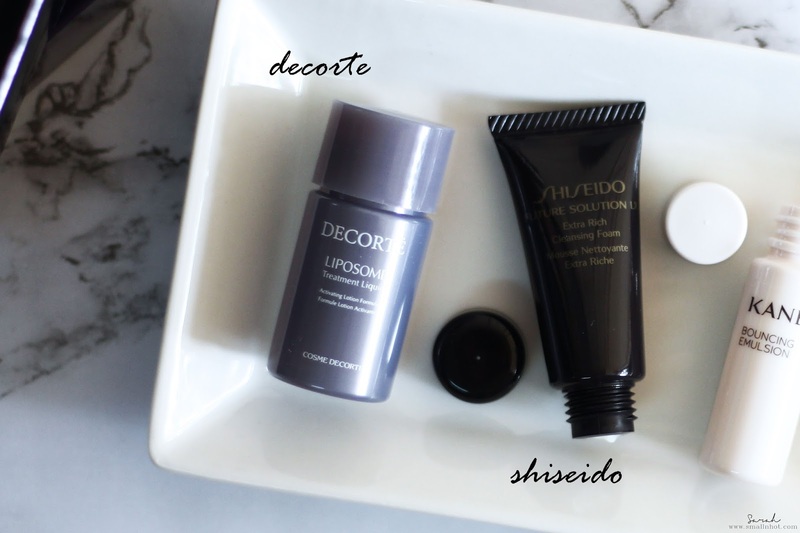 They have always been known for their remarkable breakthroughs in the industry such as the Ultimune Power Infusing Concentrate Pre-Serum (here) and now it's the new Shiseido Future Solution LX Ultimate Beauty Collection. This new collection contains layers of Japanese richness from the products to the design of the packaging as well, evoking the true Japanese experience. Available at selected Shiseido counters. In case you didn't know, Decorte was founded by Japanese cosmetic and skincare leader KOSE. Decorte is a premium cosmetics line that incorporates the latest dermatological advancements with innovative technologies. They are known for their Moisture Liposome products because it's the world's first beauty essence that harnesses multi-layer liposome technology so our skin can drink in moisture for hours to end. 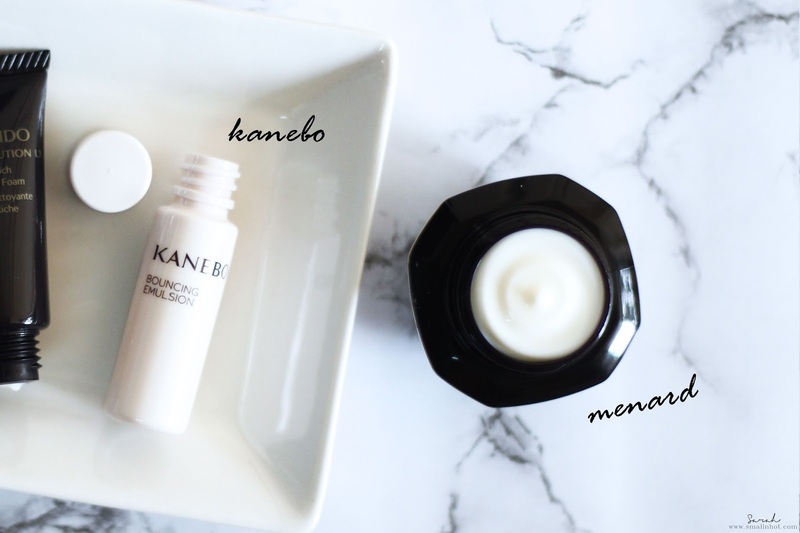 Kanebo can be said as a comprehensive cosmetics brand with core skincare line based on Chrono beauty completed with a makeup line. They have everything you need to create a flawless skin from skincare to a whole range of makeup products and also tailored to each individual lifestyle, providing optimal care when your skin needs it. Sounds like a holistic products range ? Check it out at Kanebo counters now. MENARD is a salon brand that dedicated to providing only products that's scientifically proven to be safe, beneficial and effective to our skin. And recently there have just introduced their latest skincare line known as the EMBELLIR. This is a proprietary product lineup containing the results of many years of research on extracting the power of Reishi (moisturizing ingredients). Your expectations of lasting, splendid beauty will be heightened with this new range. So book your appointment now at your nearest salon (here) and experience the result from MENARD's products..
Ora is an oral beauty care brand for women that promises to bring confidence in your smile. They have an extensive line of oral care products, which includes, Stain Clear Toothpaste, Miracle Catch Toothbrush, Breath & Stain Care Mouthwash and Breath Fine Mouth Spray. The best part of them all is that, their Mouthwash is JAKIM Halal Certified too, perfectly safe for all muslim out there.